As a thunderstorm clears at twilight, primroses seize the opportunity to open like popcorn across the dunes. 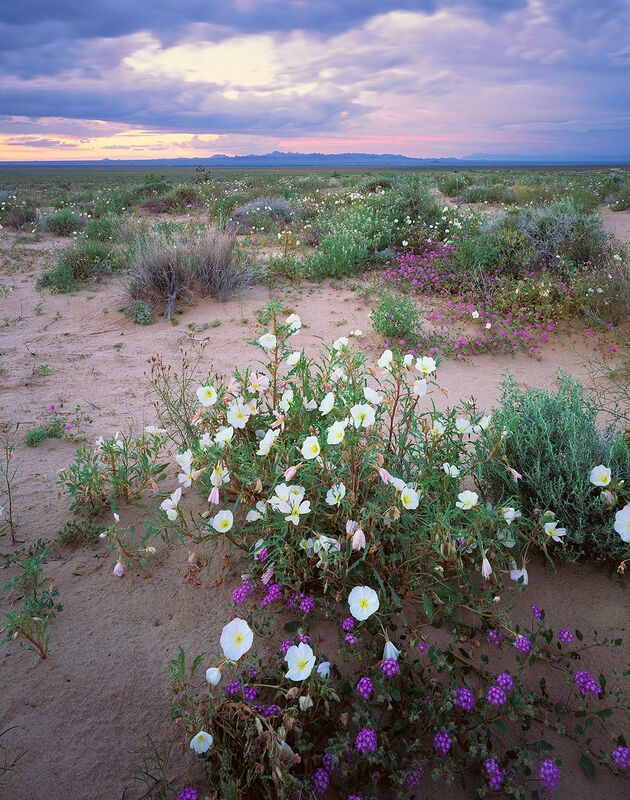 The delicate, white blossoms, opening for just one night, seem out of place in this landscape of coarse sand, harsh wind, and blistering heat. Yet sprout and blossom they do, quickly and vigorously, when conditions are just right in the dunes, a reminder of the value of patience and the rare beauty of the present moment.